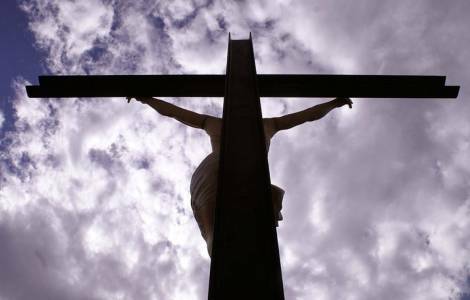 Rome (Agenzia Fides) - "It might be hard for us to believe, but there are more martyrs today than in the first centuries because they speak the truth and proclaim Jesus Christ… particularly where religious freedom is not guaranteed. But also in countries where, in theory and on paper, they protect freedom and human rights". These are words of Pope Francis that comment on the intention of prayer this March, dedicated to persecuted Christians, entrusted to the World Prayer Network. In this context, the 27th Day of prayer and fasting in memory of the missionary martyrs will be celebrated on the 24th March. According to data in Agenzia Fides’ possession, in the decade from 1980-1989 115 missionaries lost their lives in violent manners. The collective summary from 1990-2000 presents a total of 604 missionaries killed, however, one must also consider the following factors: the genocide in Rwanda (1994) that caused at least 248 victims among church personnel. In the years 2001-2017 the total number of pastoral care workers killed was 416. During the year 2018, 40 missionaries were killed in the world, almost twice as many compared to the 23 in the previous year, and these are mostly priests: 35. After eight consecutive years, the place most affected, with an extremely elevated number of pastoral care workers killed was America, in 2018 it was Africa. According to data collected by Agenzia Fides, in 2018 40 missionaries were killed: 35 priests, 1 seminarian, 4 lay people. In Africa, 19 priests, 1 seminarian and 1 lay person were killed (21); in America 12 priests and 3 lay people were killed (15); in Asia 3 priests were killed (3); in Europe, 1 priest was killed (1). Even in the first few months of the year 2019, 5 priests have already been killed: Fr. Nicolas Ratodisoa, during an attack on February 9 by some bandits on the road to Mahitsy, in Madagascar, while he was returning after bringing the Eucharist to a sick man, died on February 14; the Spanish Salesian Fr. Antonio César Fernández Fernández, killed on February 15 during a jihadist attack 40 kilometers from the southern border of Burkina Faso; on February 18, in the south of the Colombian capital Bogotà, Fr. Carlos Ernesto Jaramillo was assassinated, who dedicated himself to assisting Venezuelan refugees; a Capuchin of Central African nationality was killed in Cameroon between 19 and 20 March while returning to his fraternity in Chad after having animated a training course for priests; in the same days the body of Fr. Clement Rapuluchukwu Ugwu, Nigerian priest kidnapped a week before in the state of Enugu was found. For some of the many missionaries killed, comes the official recognition of the Church, which proposes them as examples of life and self-denial. On 7 March the diocesan phase regarding the martyrdom of Fr. Giovanni Sidoti, Apostolic Vicar of Japan, and two Japanese lay faithful, killed in hatred of the faith in today's Tokyo, in 1715 opened in Palermo, Italy. On 9 March the diocesan phase of the beatification cause of Fr. Jacques Hamel, who was killed on 26 July 2016 while he was celebrating Mass in the church of Saint Etienne du Rouvray, in Normandy, by two militant men of the Islamic state, who was slaughtered on the altar, concluded in Rouen, France.